As far as filmmakers go, there are none quite as unique and infamous as Tommy Wiseau. The mysterious and eccentric moviemaker is synonymous with his movie The Room, which is widely considered one of the worst films in movie history. But it’s also accrued a rabid fanbase, becoming a cult classic in the years since Wiseau shot, produced, wrote, and starred in the baffling drama. Tommy Wiseau and The Room got increased attention due to James Franco’s Oscar nominated The Disaster Artist, which told the story of the cult classic‘s inception and production. 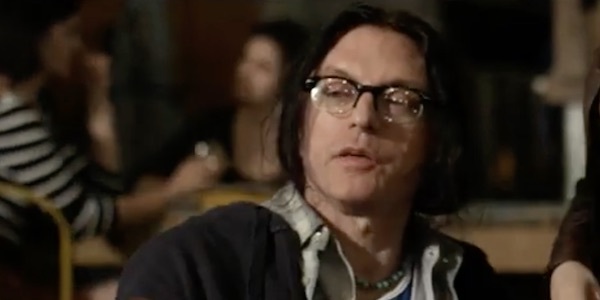 Given this new spotlight, Wiseau has been moving forward with new indie film projects, including Best F(r)iends, and Big Shark. The latter just revealed it’s first trailer, and the upcoming Shark movie looks as bizarre as you’d think. Check out the trailer below. Oh hai, Shark. Looks like Tommy Wiseau has done it again, and this time his movie involves a giant shark and seemingly spontaneous flooding. Because, reasons. The trailer for Big Shark looks like it focuses on the first few scenes of the upcoming film, with Tommy Wiseau’s character and his buddies hanging out at a New Orleans bar. Fans of The Room (aren’t we all, at this point?) will also notice another familiar face: Wiseau’s bestie/frequent collaborator Greg Sestero. Greg played Mark in The Room, Johnny’s best friend who had an affair with Lisa. The dynamic duo haven’t lost touch in the years since, and now they’ll be facing an even bigger foe than an unfaithful partner: a giant shark. Not much about the film’s contents or characters are revealed from this first trailer, with the bulk of the footage actually focused on the trio of buddies who are out for a night on the town. While out drinking, it seems that Greg Sestero’s character tries to make some moves on a lady. This results in him getting two (random) slaps to the face, as Tommy Wiseau laughs and watches it all go down. When the friends depart the bar, Tommy Wiseau’s character notices water beginning to flood the streets. His utterance of “water, look at that!” is typical Wiseau, with the line feeling awfully familiar to the iconic The Room dialogue– especially “Oh hair, Mark!” In a matter of seconds the entire street is flooded with feet of water and a giant shark is seen devouring the pair of women who slapped Greg Sestero. I guess that’s what you get for slapping people. Overall, Big Shark looks like it’s going to be a typical Wiseau flick, containing plenty of head scratching moments. But this time he’s got a giant shark to up the ante, and likely bring more accidental comedy to the project. As the world is still obsessed with Baby Shark, Tommy Wiseau is going the opposite direction. CinemaBlend will keep you updated on Big Shark and all things Tommy Wiseau as more details become public. In the meantime, check out our 2019 release list to plan your next trip to the movies.